The longer I parent, the more I realize that it’s OK to break the parenting “rule books.” I’ve come to realize that instead of dogmatically adhering to one method of parenting, I can use God-given wisdom to pick and choose what works for my family and helps us honor God in a unique way. Today I’ve got a guest post from a mom who has a similar perspective. While I moved away from strict schedules to find a middle ground, Aprille has slowly moved away from attachment parenting to find a middle ground that is comfortable for her family. I love what she is sharing with us today. As a young, new mom, I was very overwhelmed at how to parent in the beginning. Thanks to social media, it didn’t stay that way for long. When my son was an infant, I stumbled across Attachment Parenting – a parenting style that focuses on bonding between the mother and child and intuitively responding to the child’s needs on the spot. After hours and hours of research into AP, I became convinced that being an “attached mom” was not only the best way to mother, but the only right way to parent. It’s beautiful, right? It really tugs at your heartstrings as you realize that this child has just as much right to get his needs met as you do. As my infant son grew I was checking all of the boxes of the recommended guidelines of attachment parenting practices (and many of the other parenting practices encouraged by AP advocates like “crunchy” or “natural” parenting). But I was exhausted, depressed, overwhelmed, and nothing seemed to be working out as beautifully as AP advocates made it out to be. I was really starting to resent this tiny human. As my son neared toddlerhood, I slowly began to move away from AP practices in hopes of finding better strategies that would help my baby learn to eat better, sleep more, and nurse less – in hopes of regaining some sanity and rest for myself. Through this process, the Dr. Suess quote still touches my heart, and I believe there is still so much to be gained from it. 1) A person’s a person. Tiny human or adult human. Each person is an individual with a completely unique set of needs, personality, family dynamic, and extenuating circumstances. My son is not some random baby on some checklist on some website or blog – he is a person. So, when things don’t work like they say it should…well, that’s what happens when you birth a person. One of the reasons AP really “failed” for me was that I lacked logistical support. My husband was deployed, I had no family nearby, and all of my friends were military wives in the exact same circumstances. This was my personal situation, because, you see, I’m a person. Had I been a person with a different life situation, things might have turned out very differently. My son is now almost four years old and sometimes I still struggle to remember this concept. Just yesterday I became nearly irate as I tried some parenting trick off of some blog that the author guaranteed would work. But it didn’t work. I got mad at the blogger because she shouldn’t lie and say that something is going to work when she has no guarantee that it will work for me or my child. Now that I’ve cooled down, I just remember…Ezra is a person – just like her kids. But he’s not them. He’s his own person. This is why it’s very important to look at ANY parenting style, method, or tip as simply a suggestion – something to try. Because your child is an individual person and chances are you are going to have to adapt it to his personality, physical needs, and family dynamic. 2) If a person’s a person, no matter how small, then it follows that a person is also a person, no matter how big. Which means…I’m a person too. I have needs. I have extenuating circumstances (such as a husband with an anxiety disorder and a chronic illness myself). Therefore, I may not be able to respond as intuitively or fully to meet my child’s needs because I am already extended in other areas. It sounds good on a meme, and there’s definitely validity to it. But I’m not convinced that it’s completely accurate. A mother should sacrifice her needs to meet her child’s needs, of course. That’s just what mothers do. 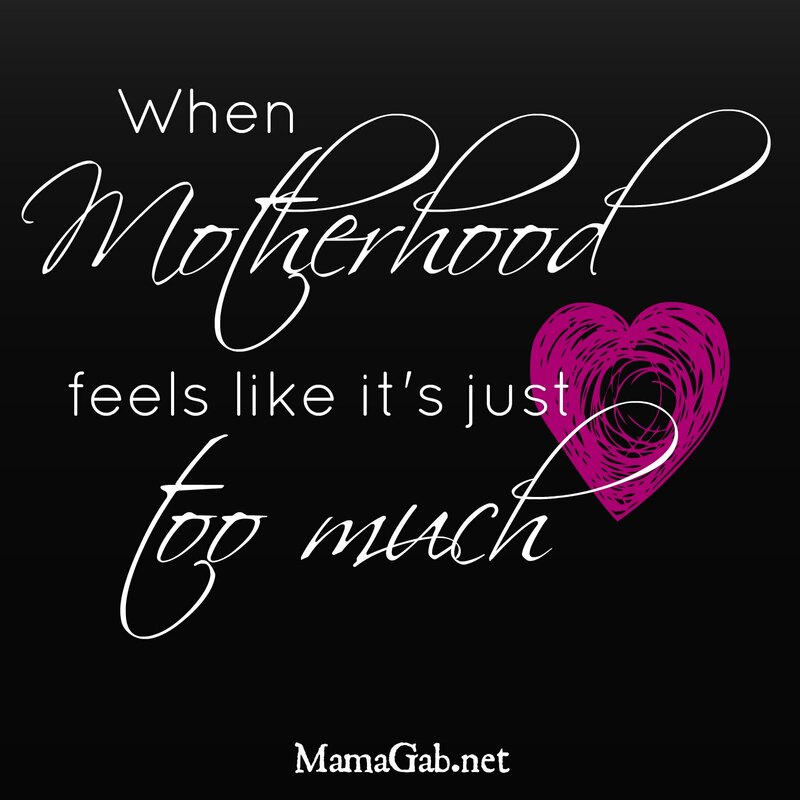 But when the mother spends so much time meeting her child’s needs at the expense of meeting her own needs, eventually she will lose so much of herself, or become so exhausted, that she no longer is the kind of mother her child needs and deserves. I’m not advocating for selfish mothering. I’m not advocating for neglect or ignoring your children. What I’m advocating for is putting your oxygen mask on first so that you can stay alive to put the mask on those you are responsible for…self care, rest, and frequent kid-free breaks. Have you ever found yourself frustrated by a parenting style that didn’t work for you or your family? How do you balance meeting your needs and meeting your child’s needs? Aprille is a twenty-something mom of one very active little boy and the wife of a combat veteran. She blogs at Beautiful In His Time, her personal chronicle about finding God’s beauty in her often messy life – her marriage, her mothering, and her personal relationship with God. You can find her on Facebook, Twitter, GooglePlus, Pinterest, and Instagram. You can sign up for her monthly newsletter here! I claim to do attachment/ intuitive parenting – but really what that means to me is that I follow my gut… and it sounds to me like that’s what you do too. I wish all moms would follow their instincts more, and less of what their mother in laws said worked for their son. If your instinct says that your whole family is better off letting your baby sleep in his own room – so do that. If your whole family is better off with the baby in your bed – so do that. Parenting (to me) is not just between mother and child – it’s the whole family that is affected by the parenting decisions. I don’t think every aspect of a parenting style will fit perfectly for one family… so therefore my style is “what fits today, may not work tomorrow. I will keep doing what I am doing as long as it feels right – and I have the right to change my mind at any time!”… THAT to me is intuitive parenting – and that’s what it sounds to me like you are doing. Follow YOUR gut/ inner voice – not a book, philosophy or group of parents… you will never go wrong! Besides – Ezra sounds like he knows what he wants from you and you meet his needs – therefore you are doing things PERFECTLY! Hugs! Well said! I think most of us eventually fall into some middle ground. And thank goodness for that! Aprille, you and I share a great love for deconstructing social media memes. I’m totally with you on the one you shared in this post. Erica Layne recently posted…Welcome to the New Let Why Lead + A Giveaway! I know, don’t we? Memes frustrate me more often than I care to admit!